Realised in talking with Maria last night that we had not kept family up to date on our plans. For several months we have been looking; doing occasional test drives and a bit of research on updating our now old car. We had considered the Korean Tivoli; the ubiquitous Corolla; the energy efficient Hybrid Prius; a bigger Suzuki - perhaps the SX4. Each of them had some pluses and minuses. We had said when we got back from London we would consider new car as the next thing on the list. Still dithering last weekend when we started talking about being away at Christmas. Neither of us much fancied a long trip in Swift but getting rental car would mean finding kennels for Lily (can't take dogs in rental cars). 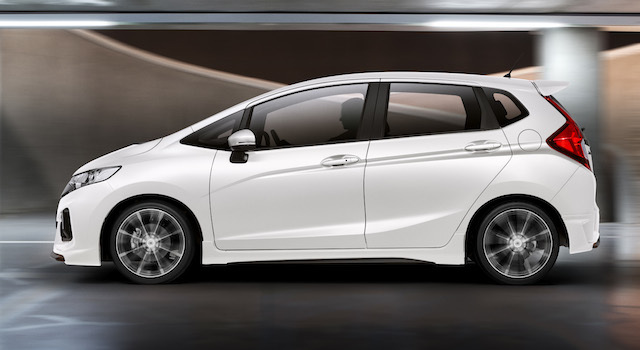 After we had dropped Bex off last week we dropped into Honda dealer to look at second hand Jazz or Civic. Ended up being talked into new Jazz - price difference from second hand not that great and performance and warranty much better. Took us all of a day to consider. Car now ordered - arrives next week. So, all in all, a typical one of our decisions - talk; talk; talk; talk Consider many options then go out and purchase impulsively. I would say Adrian, Ginny, Tim and Maria would be collected in it later in November - but for 6 adults we will still require the pre-booked rental people mover.